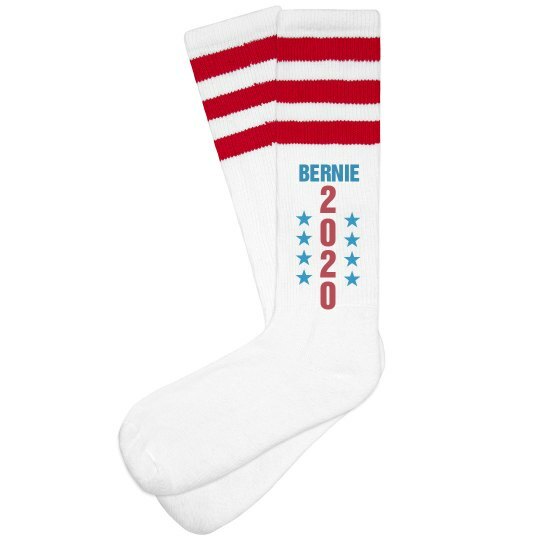 Bernie 2020, ya'll! You heard it from my socks so you know it's going to happen. It's got blues and reds and even stars. It's patriotic yet classy. Let's see any conservative sock designers match that!